FOR ADVANCED ENG & MFG. 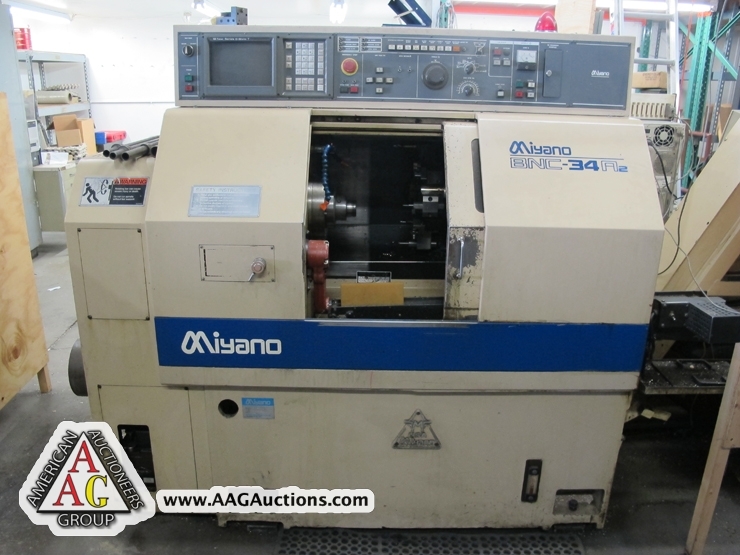 MIYANO BNC34-A2 CNC LATHE, FANUC OT CONTROL, CHIP CONVEYOR, S/N 325CAU2. 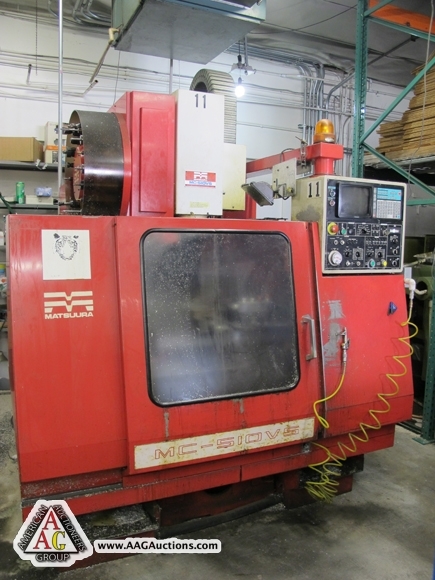 MATSUURA MC-760V CNC VMC, 30 ATC, BT-40 HOLDER, YASNAC CONTROL. 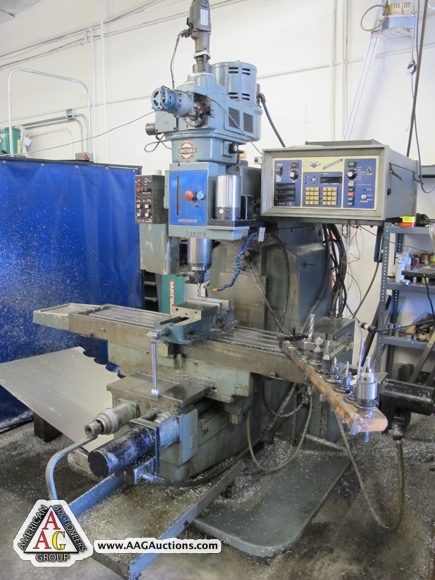 MATSUURA MC-510VS CNC VMC, 20 ATC, BT-35 HOLDER, YASNAC MX3 CONTROL. 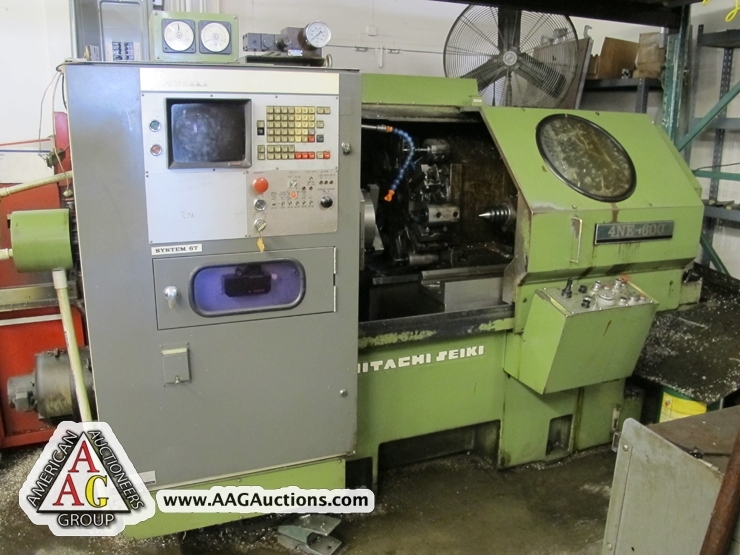 HITACHI SEIKI 4NE-600 CNC LATHE, 10’’ CHUCK, TAIL STOCK, 12 POSITION TURRET, FANUC 6T. 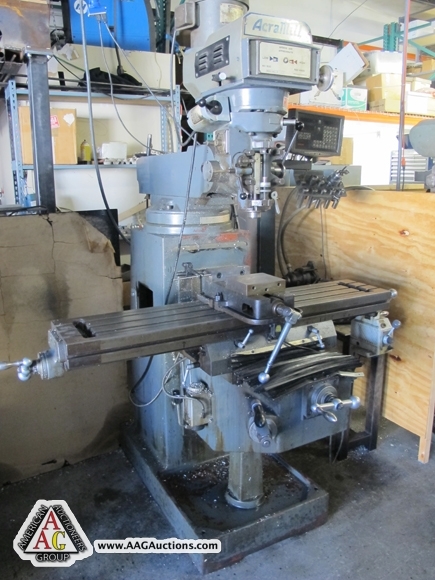 2) SHIZOUKA CNC BED MILLS WITH BANDIT CONTROLS AND ATC. 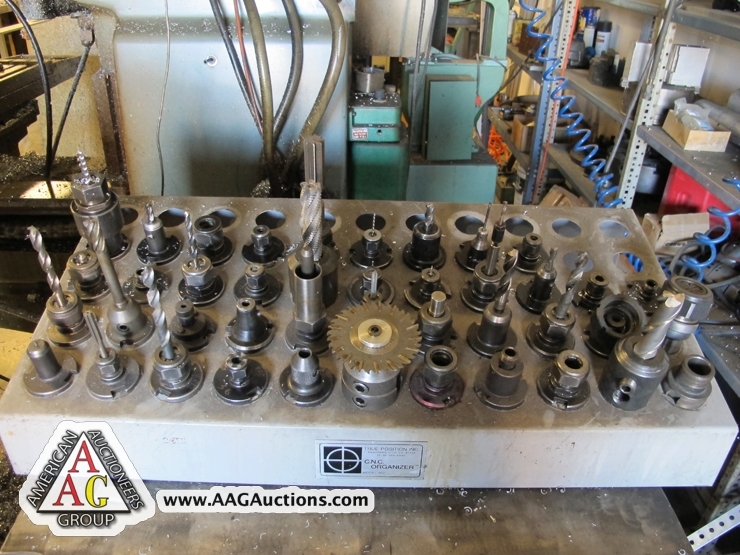 2) HAAS SERVO 5C INDEXERS. 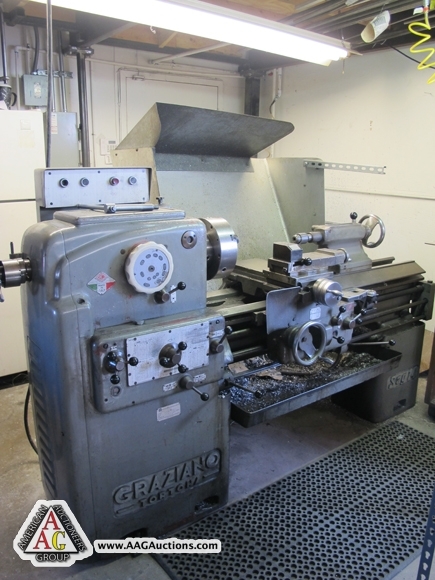 GRAZIANO SAG 14, 14’’ ENGINE LATHE, DIALS, 5C COLLET CLOSER. 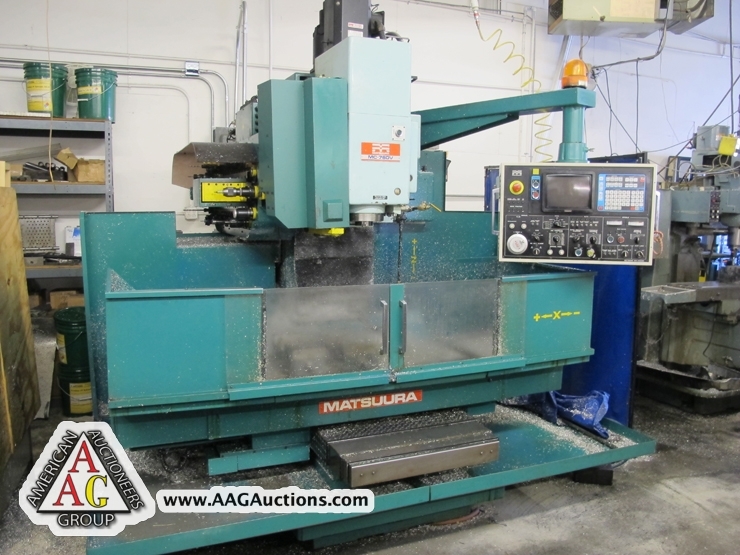 CONTINENTAL 100M HORIZONTAL BAND SAW. ACRA VERTICAL MILL, DRO, P.F. , VAR SPEED. 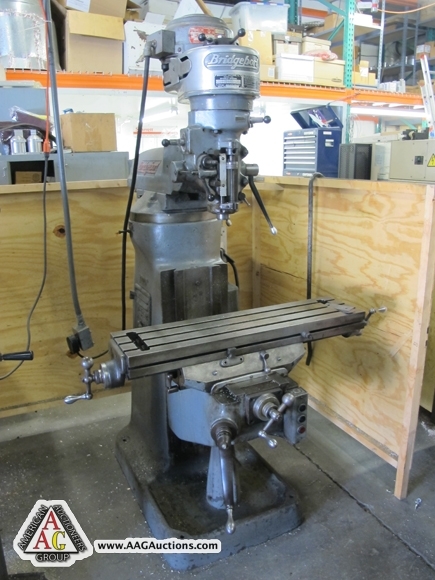 BRIDGEPOT J HEAD VERTICAL MILLING MACHINE. IR AIR COMPRESSOR, PISTON TYPE. 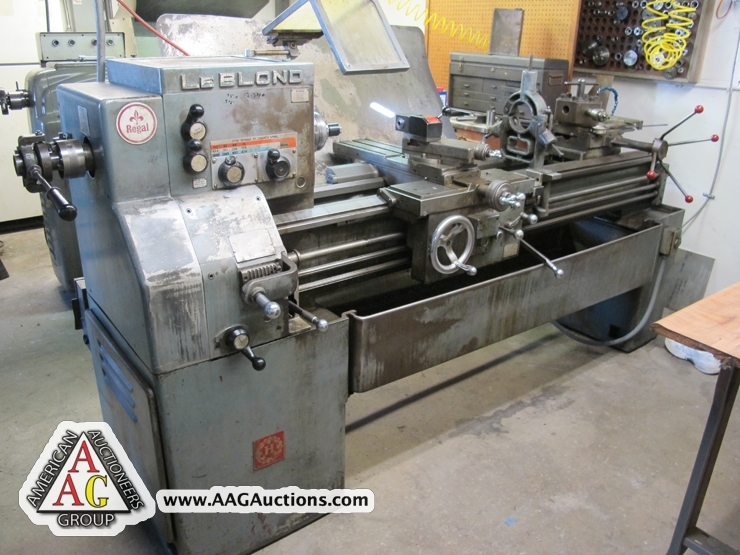 BOYAR SCHULTZ A 618 SURFACE GRINDER, 6 X 18 CHUCK. 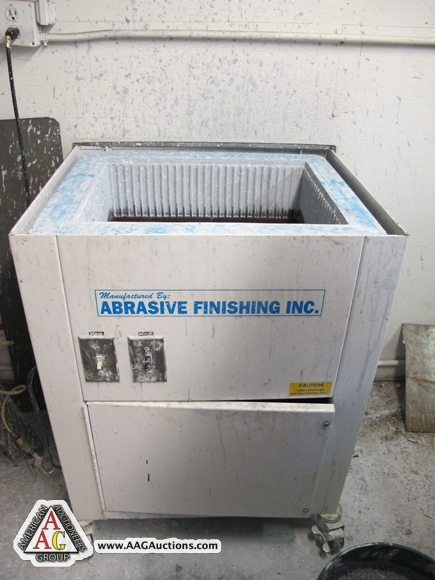 TOOL GRINDER, DIAMOND WHEEL GRINDER. 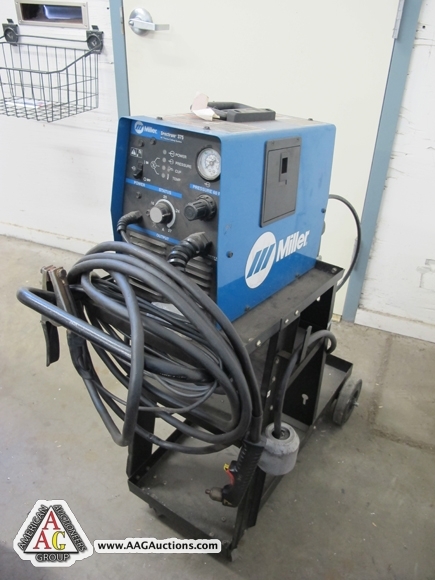 MILLER SPECTRUM 375 PLASMA CUTTER. 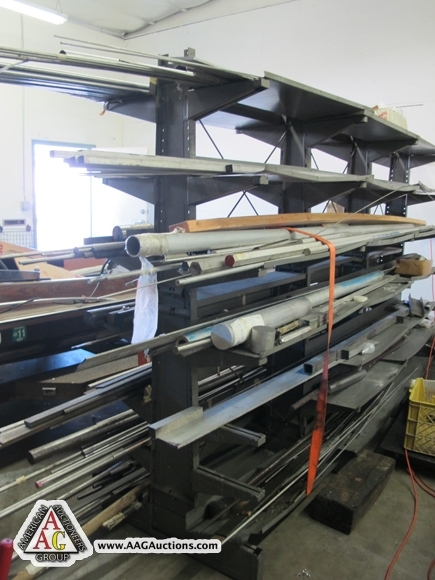 WELDING TABLES, TOOLS, FANS, PALLET RACKING AND CABINETS. 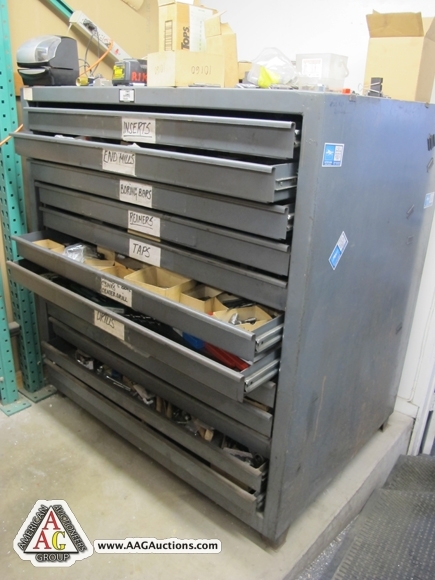 CHUCKS, VISES, INDEX, BT 35 AND BT 40 CNC TOOL HOLDERS, AND ETC. 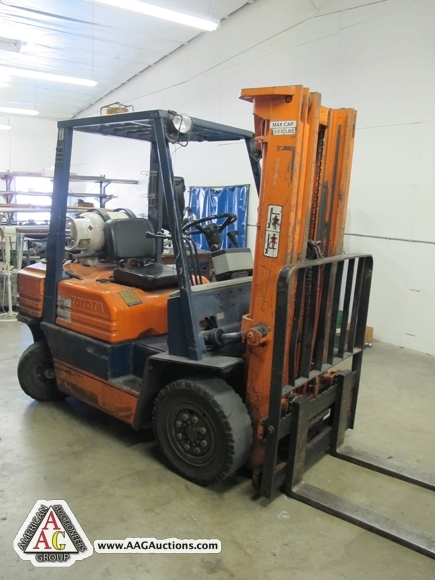 TOYOTA 5000 LB LPG FORKLIFT, HARD PNEUMATIC TIRES. ONLY. 12% BUYERS PREMIUM ON ALL PURCHASES. 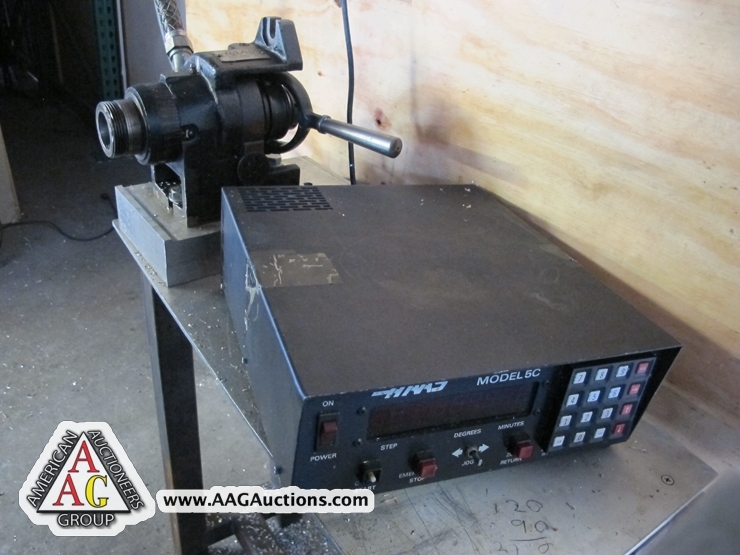 ARE SUBJECT TO CALIFORNIA SALES TAX. THERE WILL BE NO EXCEPTIONS.